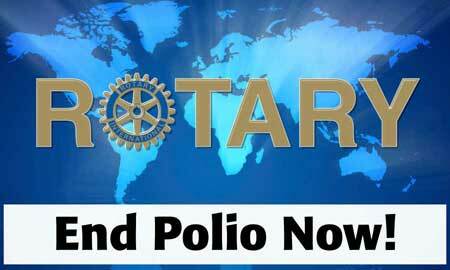 We offer the "Good Bye Polio; Thanks Rotary" bumper stickers, 9" x 3", in lots of 100, 250 or 500 (or more) at our cost (including postage in the US) at 27 cents each (for example, $67.50 for a roll of 250 bumper stickers). We have shipped over 425,000 of these since we started in 1998. Click here to order one roll Click here to order two rolls. Email questions to PDG Marty Peters at: marty.financialplandesign@lpl.com. Phone: 858-755-0201. Thank you! 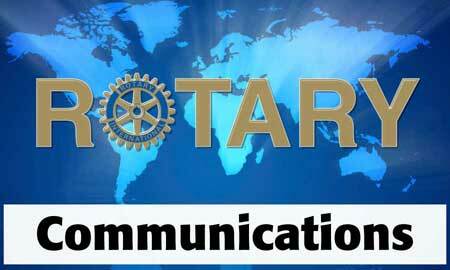 Rotary In Action Video Series is a total of seven TV Talk Shows produced by Marty Peters and Philippe Lamoise. 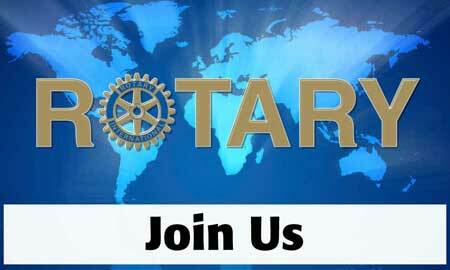 The content of each show is designed to inform the general public about specific Rotary Programs. 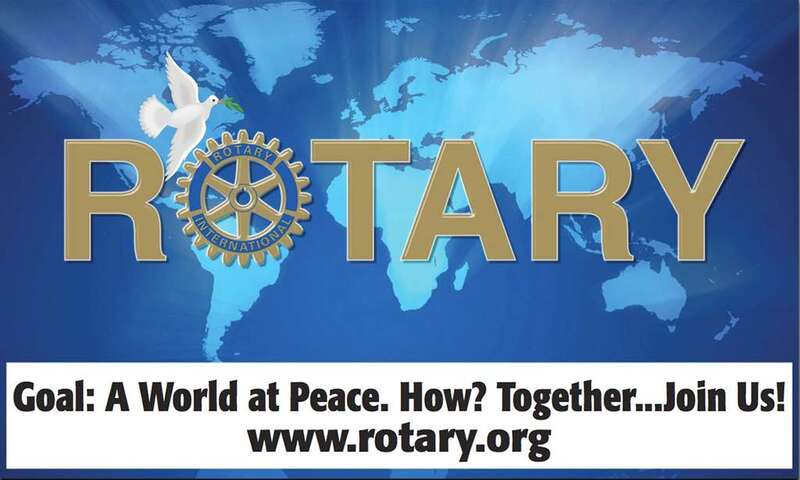 This is a sample from Rotary In Action #1 about the Rotary Youth Leadership Awards (RYLA). 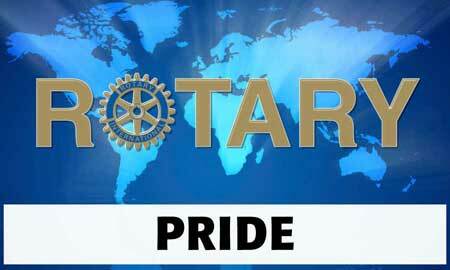 It shows the opening of the show, and the short video introduction to explain Rotary. 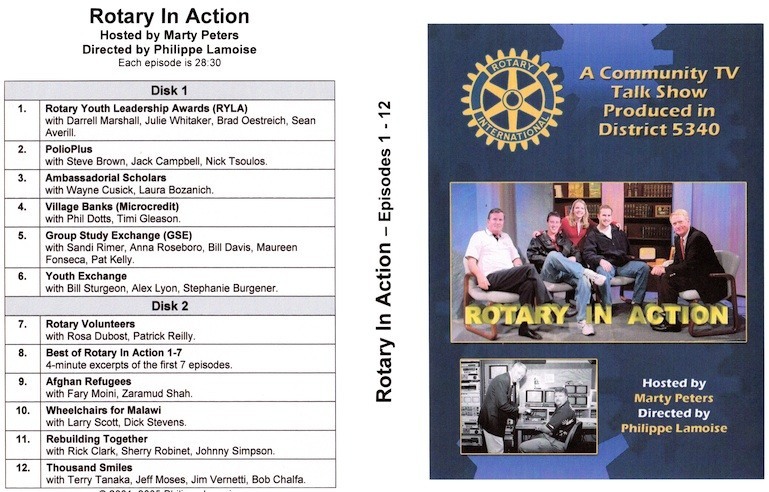 "Rotary In Action" video productions with 14 half-hour episodes (on 3 DVDs) featuring Rotary success stories, produced at Del Mar TV by Del Mar Rotary, are available for $70.00 including postage in the US. This is an excerpt from Rotary In Action #11 about the Rebuilding Together project. This demonstrates the opening of the show. Banner with dove 1 and two line slogan "Goal: A World at Peace. How? Together... Join us!" 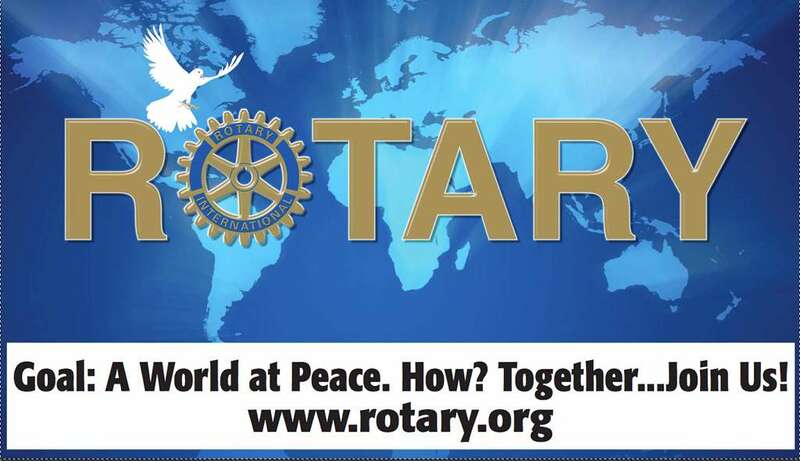 and "www.rotary.org". Banner with dove 2 and two line slogan "Goal: A World at Peace. How? Together... Join us!" 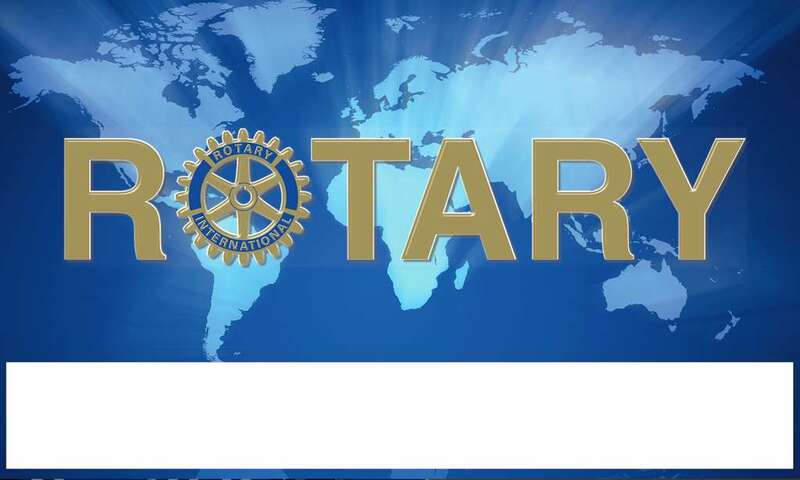 and "www.rotary.org".